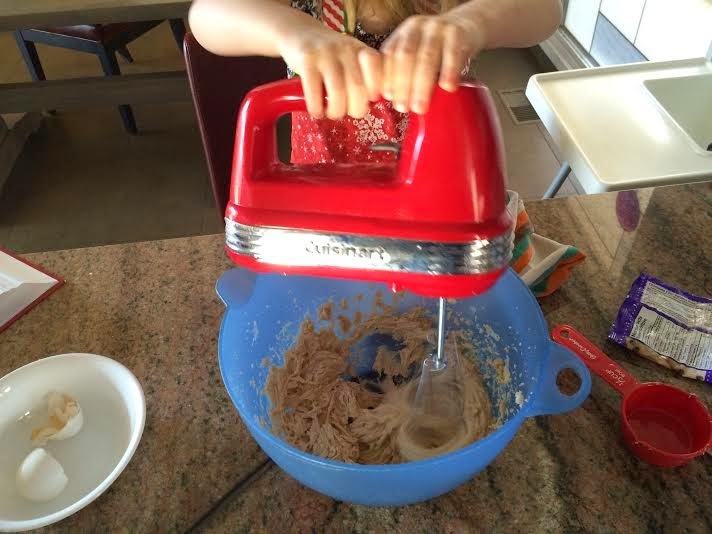 It happened again the other day...... My little girl woke up from her nap and sleepily asked, "Mom, can we bake now?" This melts my heart every time. 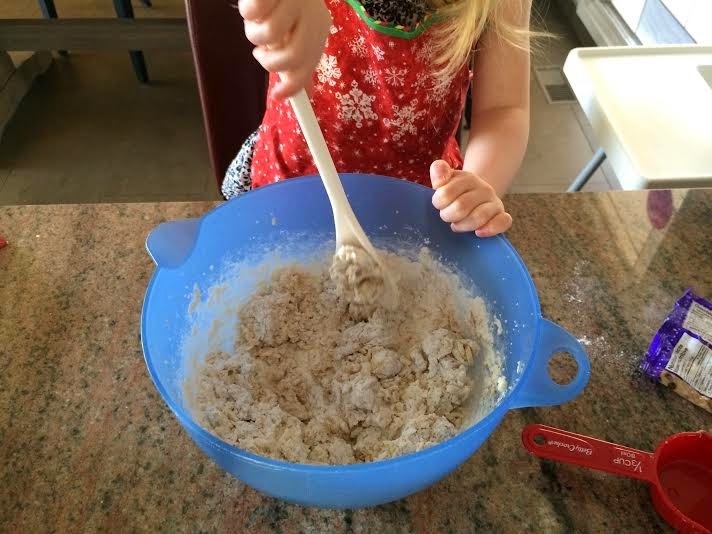 I remember baking with my mom a lot when I was little, so I am so happy my daughter likes to as well. Even the little guy is starting to take an interest. I think he is more interested in the rogue chocolate chips that seem to drop to the floor on occasion....but I'll take that as a win anyways. When I asked what she wanted to bake, my daughter replied "cookies with lotsa, lotsa chocolate chips". 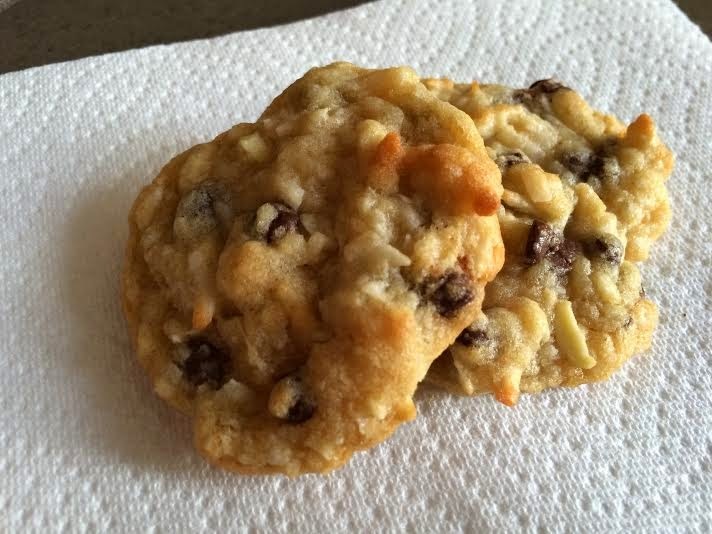 I was craving coconut too, so I took a go-to chocolate chip cookie recipes and tweaked it. No. These are not healthy....but they're delicious! My motto is everything in moderation. Cream the butter and sugars together until light and fluffy. Beat in the egg and vanilla until very creamy and light in color. Lightly whisk the flour, baking soda and salt together and stir into the creamed mixture. Add mini chocolate chips, coconut and almonds until mixed together. Drop teaspoon sized balls onto parchment lined pans, and bake in a 350 degree oven for approximately 12 -15 minutes, or a light golden color. Check at 12 mins and do NOT overbake! 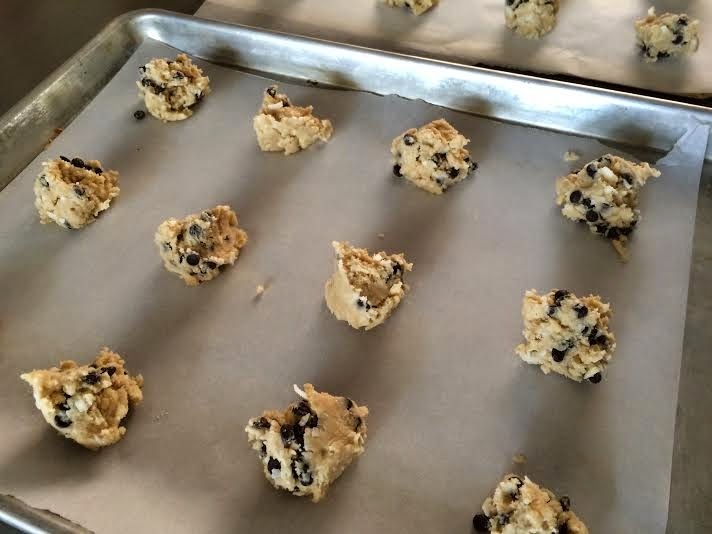 These will firm up on the cookie sheets a little after being taken out of the oven. This recipe gave us exactly 30 cookies. Or 25 by the time my husband got home.